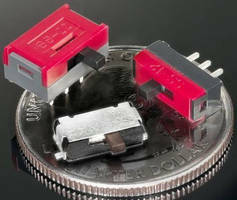 Subminiature DP3T Slide Switch offers J-Bend SMT lead option. Micro Miniature Slide Switches withstand hostile environments. 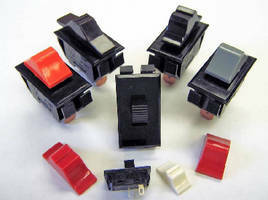 Power Slide Switches feature dustproof design. 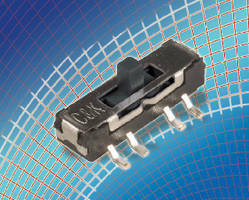 Slide Switch suits space-constrained applications. 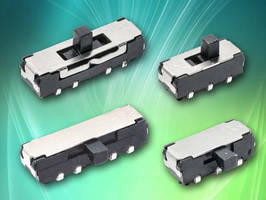 Sliding Contact Micro Switch features IP67-rated design. 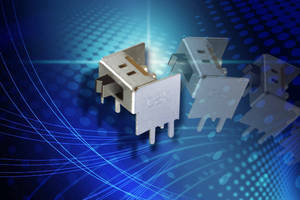 Slide Switch offers low profile for mobile devices. 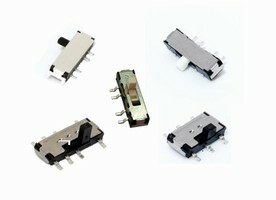 Miniature Slide Switches suit high-density PCB and SMT mounting. Slide Switch features magnetic-based design. Mounted on flex circuit, Slide Switch can be sealed against contaminants, eliminating common cause of switch failure. 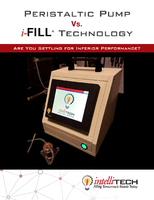 Unit has total package depth of 0.125 in. 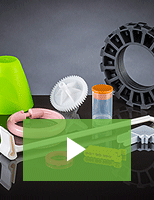 or 3.175 mm below overlay, making it suited for space-constrained applications. Available as stand-alone discrete switch or integrated directly into custom panel, switch is fully customizable for detents and electronic output. 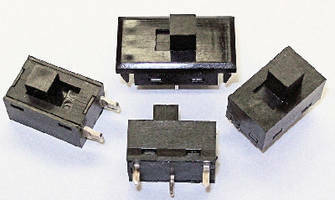 Miniature Slide Switches suit mobile communication devices. 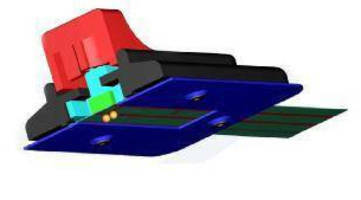 Miniature Slide Switch suits PCB configurations.